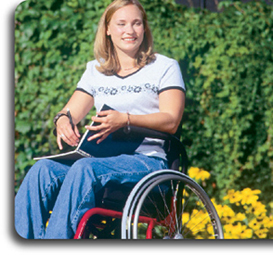 To advertise your pre-owned mobility / disability aids you must create an account. Help with selling your pre-owned mobility / disability aids on TheMobilityMarketUSA. Our 4 easy steps to finding the pre-owned disability product you require. Beat the Credit Crunch, Buy or Sell your used mobility aids and equipment here. Sell now and turn your spare mobility products into cash. The mission of The Mobility Market USA is to connect sellers and buyers of disabled / mobility products for mutual benefit, for which we charge a small advertising fee. New disability / mobility aids can be expensive and are often beyond the means of those in most need of them. Pre-Owned disabled / mobility aids offered for sale often represent excellent value for money, being usually well maintained and are often hardly used. You may own a disability scooter, a manual or electric wheelchair, or an adjustable orthopedic bed. You may have a disability modified vehicle, or even a mobility modified house to sell. Whatever the mobility or handicapped related product, if you have no further need for it – why not sell it via The Mobility Market and allow another disabled person to enjoy the benefit. The effects of the credit crisis is affecting millions of households and cross America, Europe and beyond. Now is a good time to generate cash by liquidating disability and mobility related products that are no longer required. Sell Your Disability Modified House Here…. The opportunity to offer for sale your disability modified house via The Mobility MarketUSA is a newly introduced feature. We are aware that there are limited facilities offered by realtors to promote disability modified real estate for sale. Such real estate fits well with the range of disability / mobility related products covered by The Mobility MarketUSA. For more details please see Advertise Mobility / Disability Modified Real Estate. Mobility Equipment Manufacturers / Dealers – if you have mobility products that are re-conditioned and in good condition, you can sell them on TheMobilityMarketUSA. If you have re-conditioned scooters, orthopedic beds, stair lifts, or wheelchairs to sell, please e-mail us to find out how The Mobility Market USA can help you. St Simons Island GA 31522. See the Hydraulic Hoyer Lift in Monroe, NC !